A tribute to the beauty found within Melbourne’s 60s and 70s suburban architecture – Centenary is a celebration of this distinctive vernacular, used as inspiration for much of the work of Howard Arkley. 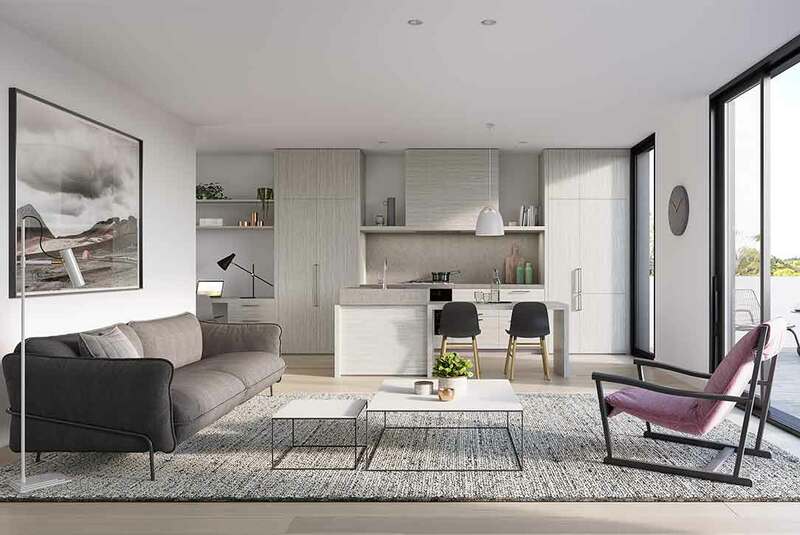 The tones and textures that surround this new multi-residential development in Bentleigh East have been translated into a contemporary context, from leafy greens to brown bricks and bluestone. The joinery massing reflects the low-slung, blocky forms of houses from this era, while the materials themselves find new interior applications. 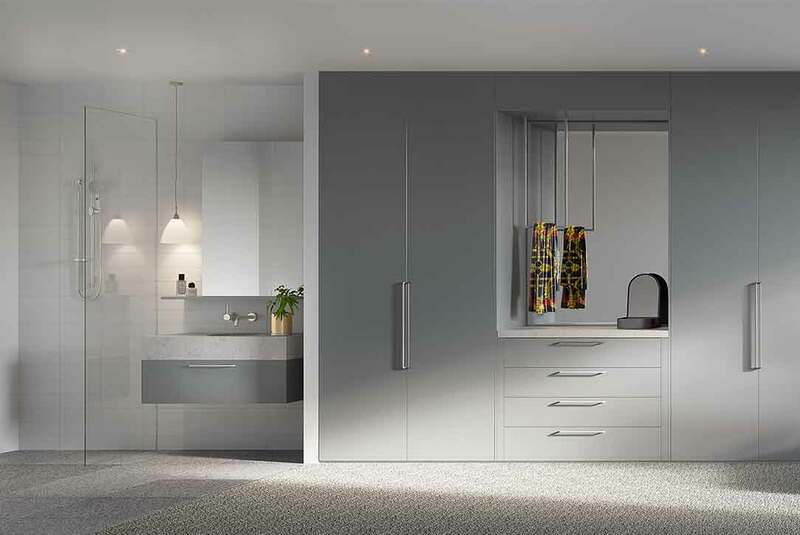 Timber veneers, metal handles and reconstructed stone reference the tactile qualities of these enduring designs. 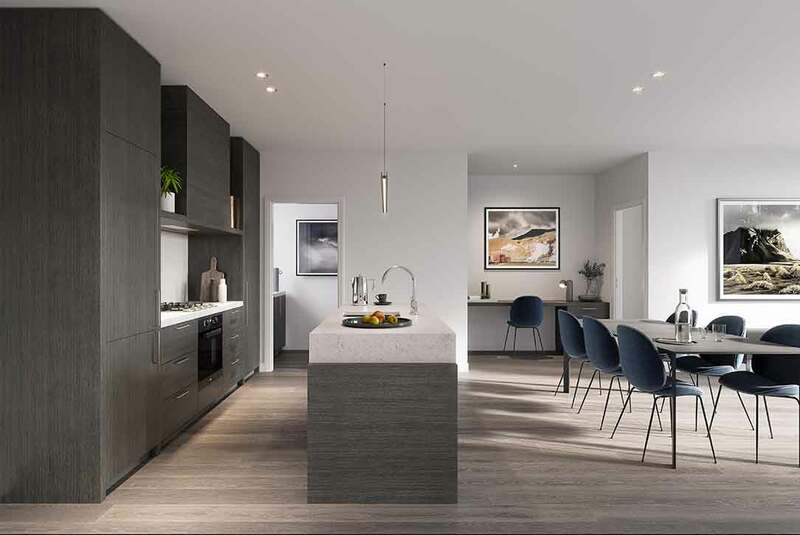 A connection with the environment was also important with the apartments structured around an internal courtyard. 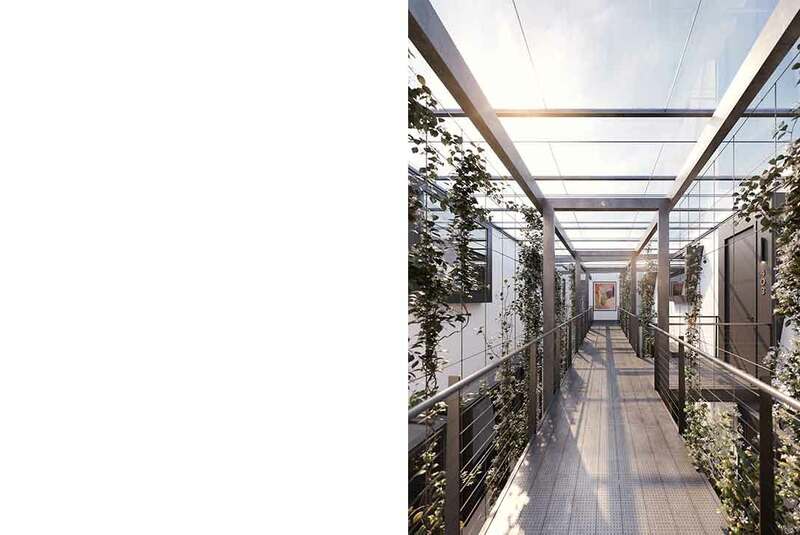 Outdoor spaces are framed by large glass sliding doors and Studio Tate worked closely with the architect to reconfigure the ground floor apartments to maximise the connection to the generous courtyard gardens. The enhance the upper level apartments Studio Tate worked with the architect to detail a series of angled picture windows with a built in seat which links the bedroom spaces to the light and greenery of the internal courtyard while ensuring privacy is provided. A tribute to the beauty found within Melbourne’s 60s and 70s suburban architecture – Centre Road is a celebration of this distinctive vernacular, used as inspiration for much of the work of Howard Arkley. 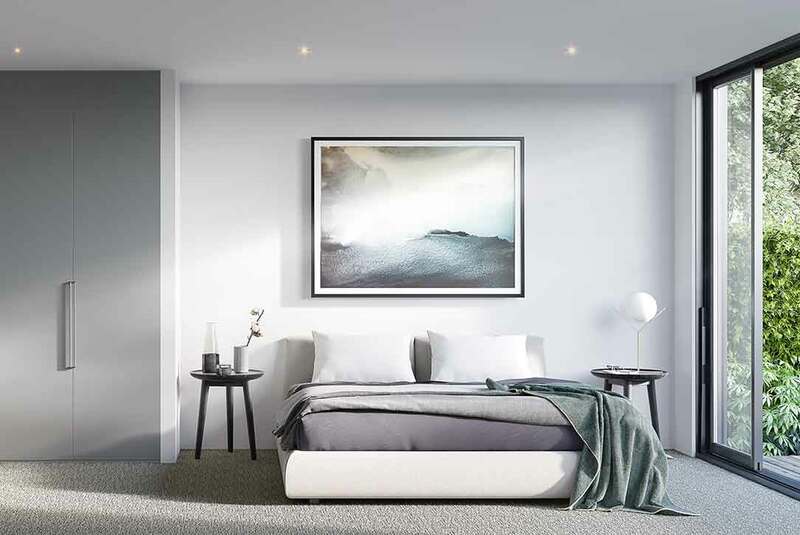 The tones and textures that surround this new multi-residential development in Bentleigh have been translated into a contemporary context, from leafy greens to brown bricks and bluestone.